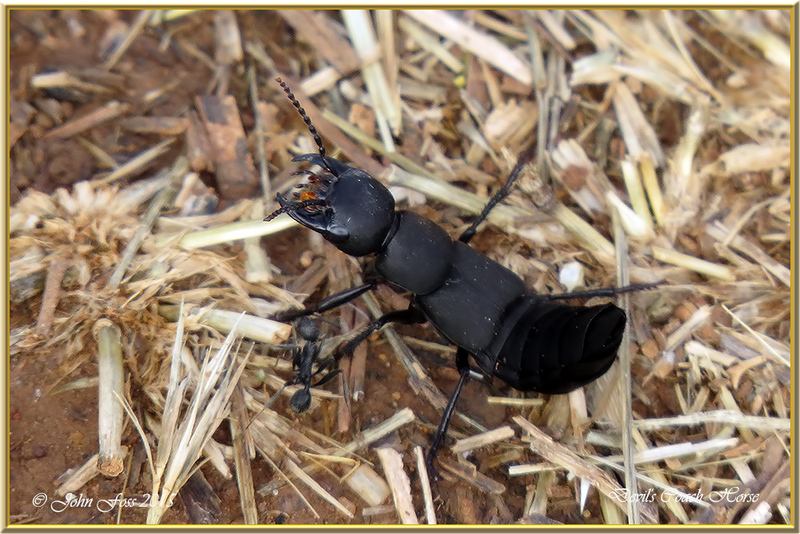 Devil's Coach Horse - This beetle is around 27mm in length. It has wings (covered in this image) which are rarely used at all. When disturbed or threatened it will raise its abdomen and display its jaws rather scorpion like as in one of these images here. Although it has no sting it can deliver a painful bite with its pincer-like jaws. It feeds on other insects and even worms. 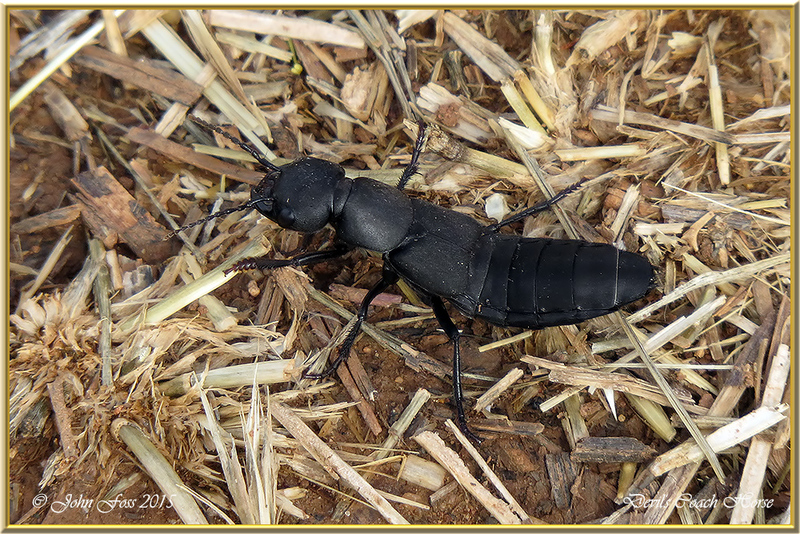 I have seen several of these before in England and Ireland but I came across this one in scurrying across a path at Vilamoura reedbeds in Portugal. Although they are mainly nocturnal.